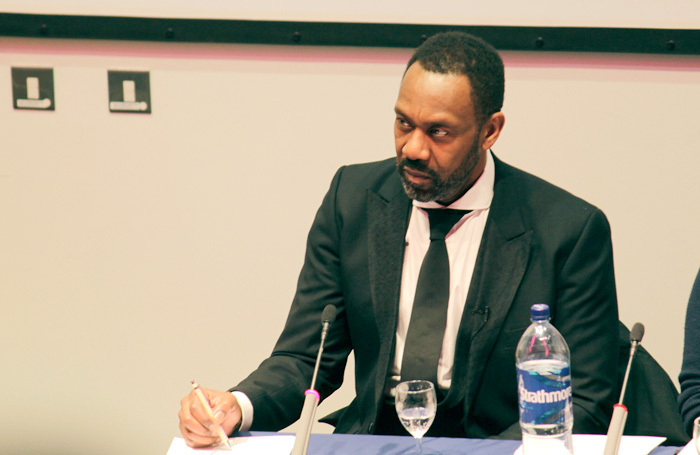 Lenny Henry has called on the industry to “step up and be more bullish” in persuading the government about its value and the role of drama in education. He said the government should be contributing more financial support to enable the arts to take a prominent position in schools. Henry was speaking at the unveiling of a new scheme led by the National Theatre, called Let’s Play, which will offer schools around the UK resources to stage a specially commissioned play, with the process also feeding into other areas of the curriculum. Henry, an NT board member, said Let’s Play would encourage creativity in schools, while helping children learn other skills, such as problem-solving and working as a team. “I think if the budget cuts continue in education and they stop certain schools doing that they are losing a great tool for later on in life,” he told The Stage. Henry said the industry should fight harder to persuade the government of arts subjects’ value in the curriculum. “Drama needs to step up and be a bit more bullish about what it can offer. We are often in a bubble… but drama has a lot to offer to our GDP. Look at how much money we make for Britain. We should be bullish and talk about the things we do that help society – about relationships, morals and ethics. We can bring that to bear on the school curriculum,” he said. Henry went on to urge the government to provide match funding for the Let’s Play initiative, which costs £350 per school, per academic year. “The government needs to work together with the artistic community to come to some agreement. This scheme is £350 per school. There are bursaries for it, but the government could match fund and get all primary schools to have it,” he said, adding that the government should “mandate that drama goes back into the school curriculum”. He said there was “far too much emphasis” on science, technology, engineering and maths. Henry also said the National’s Let’s Play scheme could help address the under-representation of working-class actors in the industry. “What creativity and access to the arts in school does is give kids the opportunity to go ‘Yeah I can tell my story and write my story’. You want that in school… as that gives the more rounded education,” he said.